Just over the new bridge from Charleston S. Carolina you will find the "new town" of Ion. This painting captures the sunrising on the marsh with the Iconic Temple Dock in the distance. 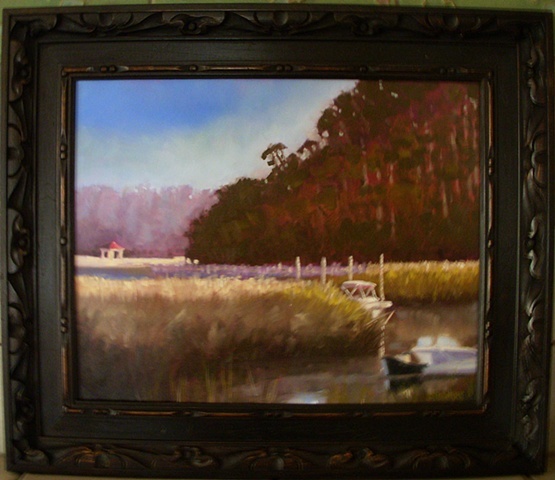 This painting is framed in a deeply hand carved frame.